If you have a WordPress website, you don’t have to work hard to optimise it for search engines. 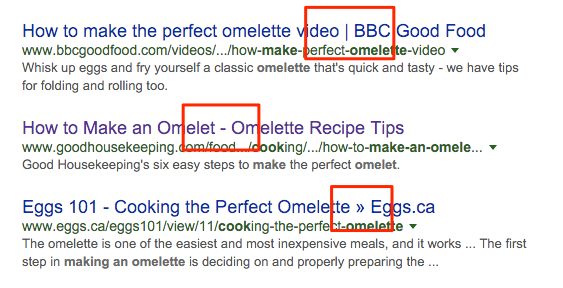 Make no mistake, I am not saying SEO is that easy, or that I have mastered it for that matter. But when you have a cool, all-in-one plugin to set your site perfectly up for SEO, things get a lot easier instantly. WordPress SEO plugin is the name and it is also called as Yoast SEO plugin or WordPress SEO by Yoast. And its free for the most part. You have to pay to use some additional features. But mostly, you will do just fine with the free version. The plugin incorporates a wide range of SEO features and hence is not straightforward to set up. If you don’t set up the plugin properly you might miss out on its awesome features. So let’s get to the set up! You can skip the installation part if you already have the plugin installed. 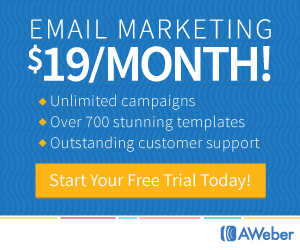 Go to your WordPress dashboard and hover over Plugins and click on Add New. On the top right search box type “WordPress SEO” (without the quotes) and click enter. You should see a plugin named “Yoast SEO” as shown below. Go ahead and install the plugin (you will see “Install now” button in place of “Installed” if you have not installed the plugin already). 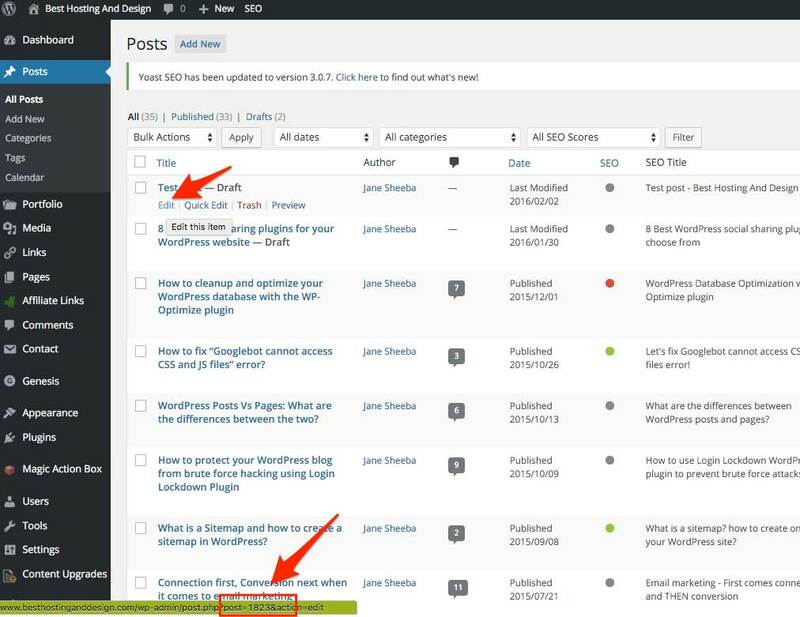 Once you’ve installed and activated the plugin, scroll down in your WordPress dashboard and you will see the SEO module as shown below. First you need to click the “General” link. You will get this screen. You might want to take the tour if you wish, by clicking on the “Start tour” button. Or take a look at the latest changes in the plugin by clicking on “View Changes”. Be careful about clicking on the Restore Default Settings since that will erase any settings you make and default to the plugin’s original settings. On the next tab you have “Your Info”. Here you should fill out your website’s name and an alternate name that you want Google to consider. Then you should choose whether your site represents a person or a company. And then, of course fill out your name. 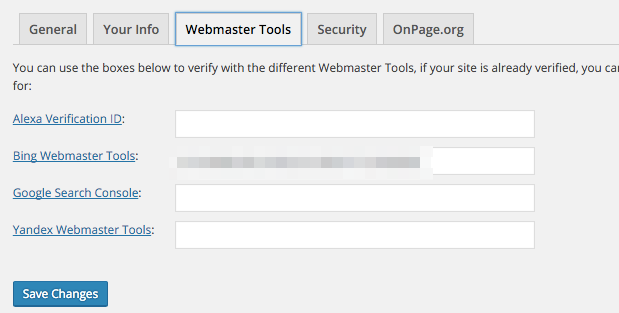 The Webmaster tools tab helps you to get your site verified with Bing, Google and Yandex Webmaster tools, as well as get verified with Alexa. You don’t have to use this tab if you have already verified your sites with these Webmaster tools. But if you haven’t yet, this is a pretty handy way to do it! On the Security tab, you will have the option to disable the advanced Meta settings. I’ve disabled it on my site. 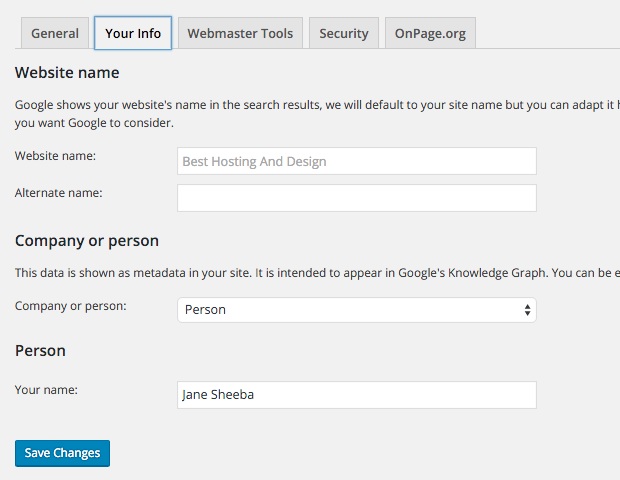 The Onpage.org tab lets you enable the onpage.org indexability check on your site. Enable this. Visit onpage.org for more details about this! Moving on to Titles and Metas! The General tab lets you to set the Force rewrite titles option. 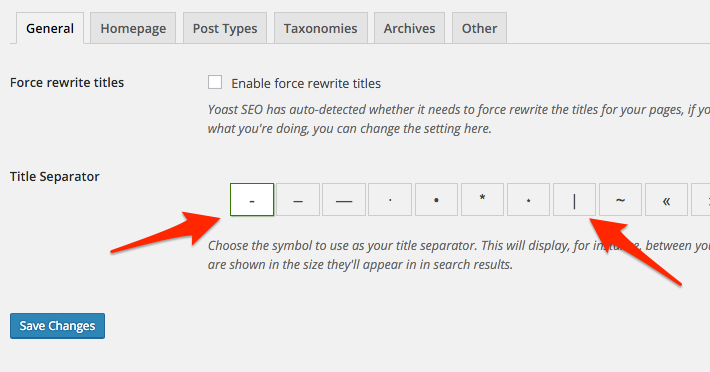 This option lets Yoast plugin to decide whether it needs to force rewrite the page title of any page or post. If you leave this option ticked, the plugin may choose to force rewrite your post title depending upon the main keyword you fill in the meta data (more on that later). I don’t have this option enabled. The title separator lets you to choose a separator that will appear in search results between your post/page title and the site name. Here are some examples of separators as shown in search results. On the Homepage tab, you can edit the title and meta data of your home page and front page! 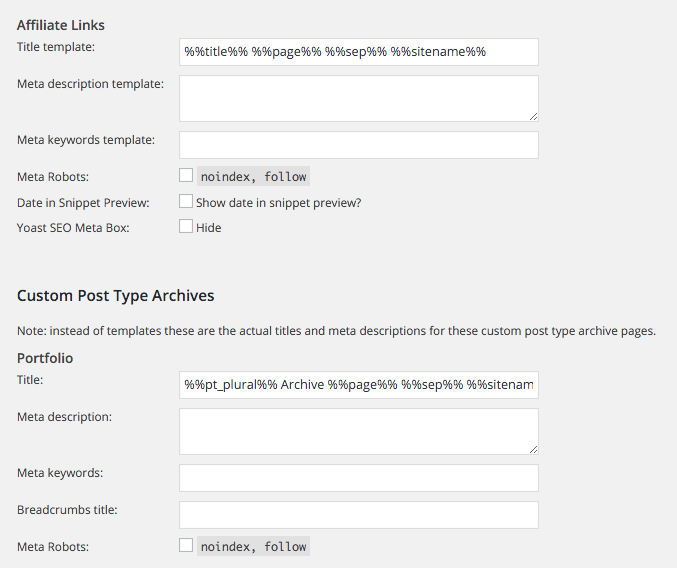 On the post types tab, you can write down the title and meta descriptions for your pages. You can leave the title template as it is, unless you know what you are doing. Here’s where you choose to noindex, nofollow your pages. For instance, you might want to noindex affiliate links. Here’s where you choose to do that. Also if you want to specify a unique Breadcrumbs title to one of these post types, you can do so in the corresponding box. 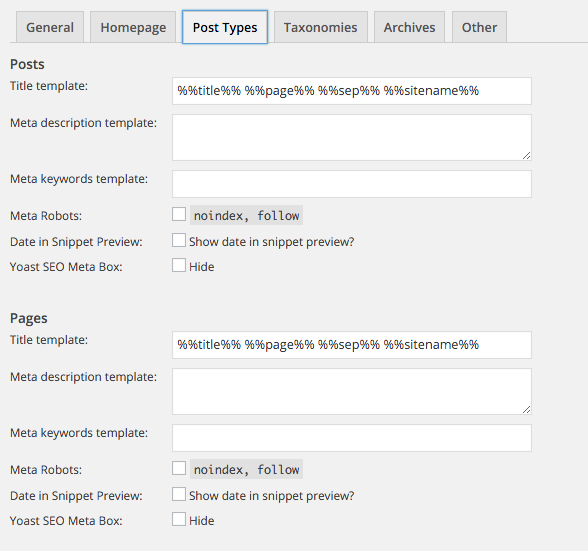 The taxonomies tab helps you set up the same stuff for your category, tag, format pages. Personally, I’ve noindexed and nofollowed the Tag pages, while I’ve not done so for the Category pages. So this totally depends on your SEO game plan. Next comes the title and meta set up for the Archives page. 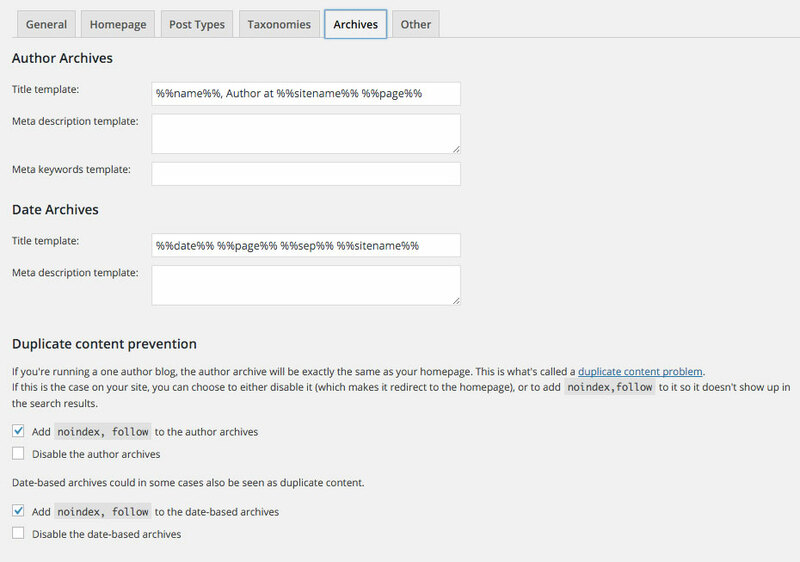 You can choose to noindex, nofollow the author and date archives page if you want that. 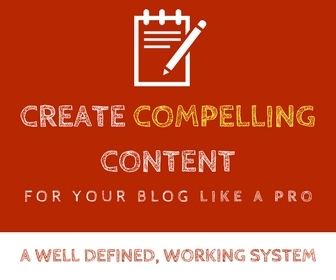 Doing so will help you with the duplicate content issue where the content on your blog page and archive page might match. You can also disable the author and/or date archives altogether if you wish. 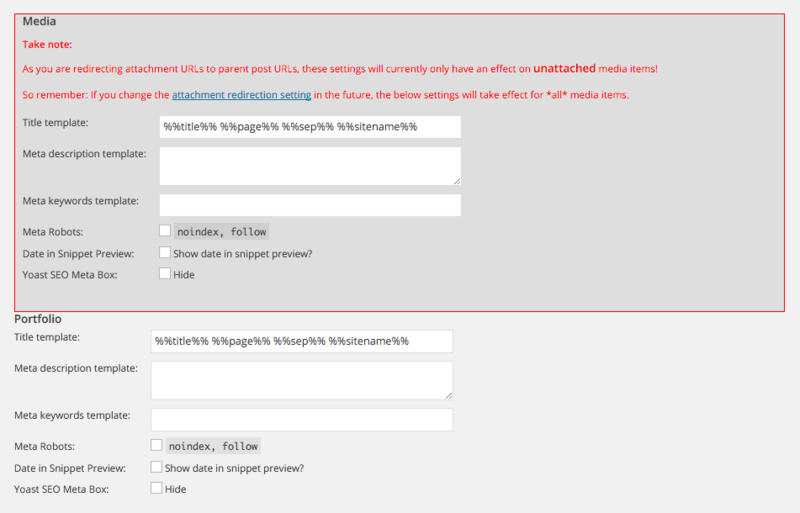 The Special Pages heading lets you set up the title template for your Search and 404 pages. You can change them as you wish! 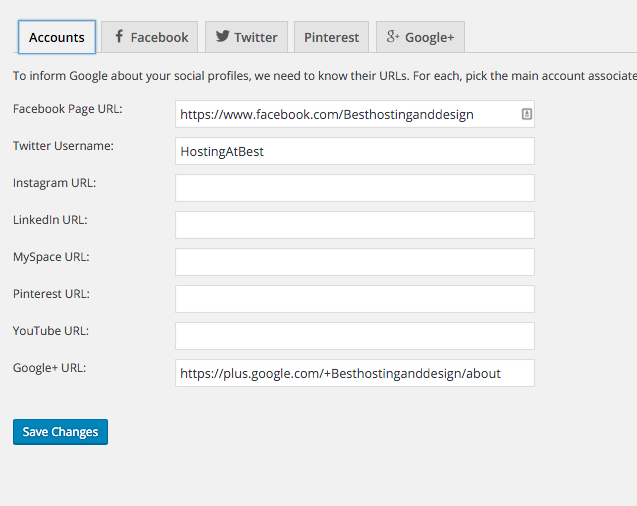 In the Social module, you can let Google know about your site’s/company’s social media profiles. In the Facebook tab, make sure you have Add Open Graph meta data ticked. 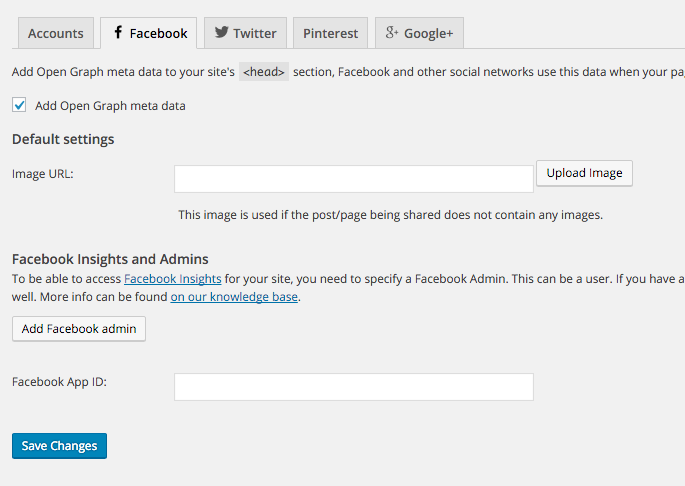 This ensures that your meta data are properly pulled when your post/page url is pasted on to Facebook. Also if any particular post or page doesn’t have a featured image, you can let Facebook know what image to use as backup by specifying the image URL in the box shown above. You can also link Facebook Insights for your site by adding an admin; as well as connect your app to your site by providing the app ID in the box shown above. In the Twitter tab, you have to make sure you’ve chosen to add Twitter card meta data. Also choose the default type of Twitter card. I prefer summary with large image. In the Pinterest tab you can add the Pinterest verification meta tag data. In the Google+ tab make sure you have checked the Add Google+ specific post meta data. Also enter your Google+ Business page URL into that box. This is one of the amazing features of this plugin. Everything is kind of automated, you don’t have to do anything. You simply have to make sure that you have the check box to enable XML sitemap functionality. 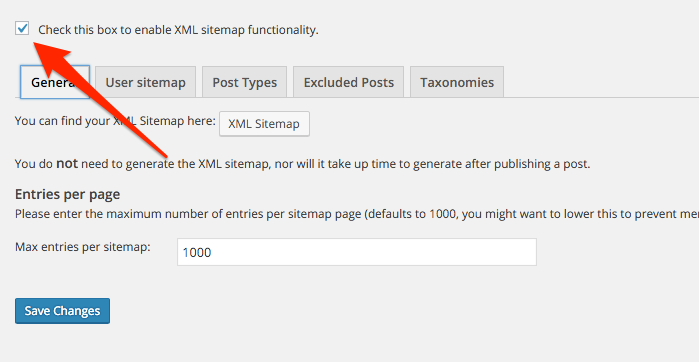 In the User sitemap section you could choose to disable the author/user sitemap. 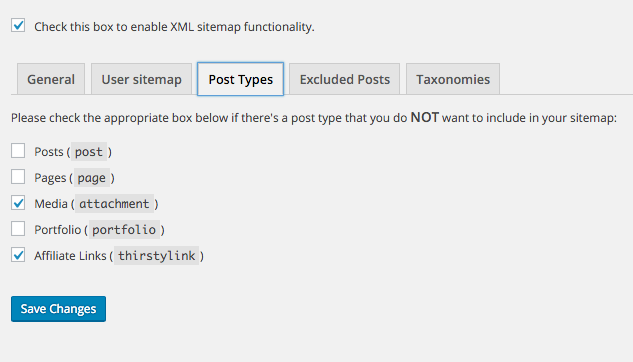 Under the post types section you can choose which of the post types you would want to EXCLUDE from your sitemap – that is, whatever you tick here won’t be included in your Sitemap. 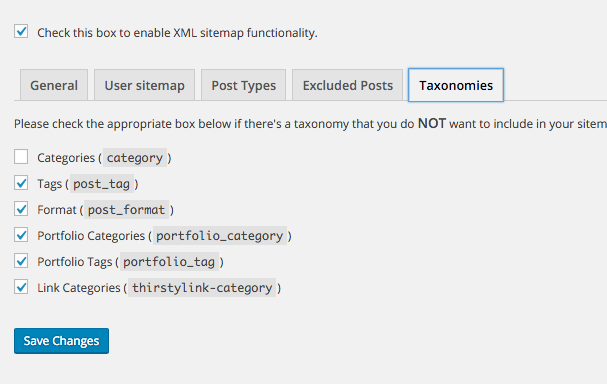 You can also exclude specific posts from being included in the sitemap by giving the corresponding post ids. You can find the id of a specific post by hovering over (don’t click) its edit link and noting down the numeral as shown below. Similarly if you want to exclude any taxonomies, you can click on the appropriate check box in the Taxonomies tab. 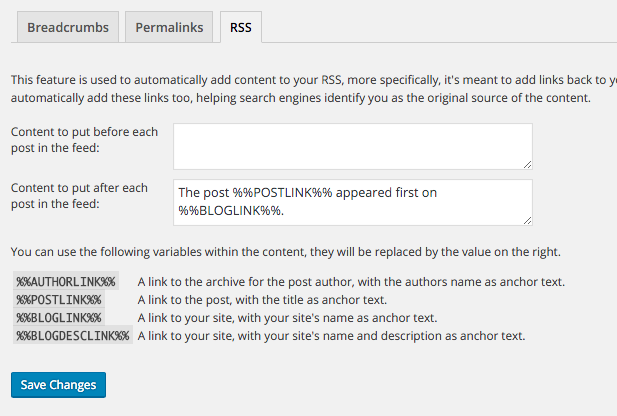 This section deals with Breadcrumbs, Permalinks and RSS settings. 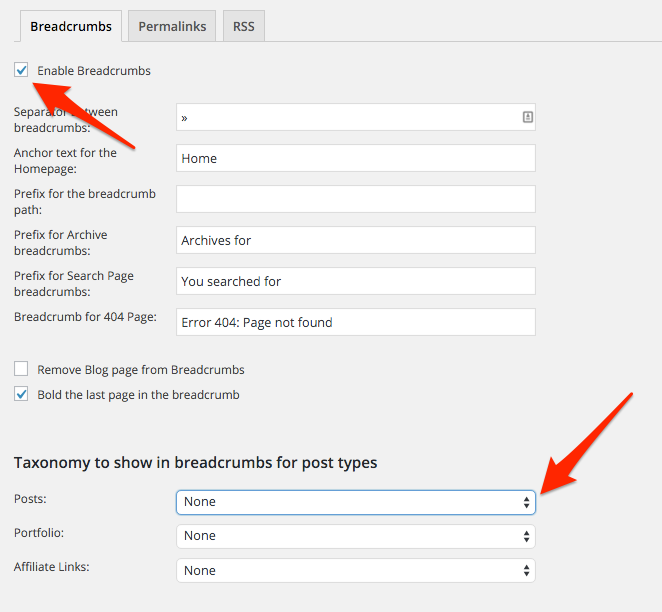 First Breadcrumbs – you can enable breadcrumbs on your site just with the click of a tick-box. The rest of the settings help you to define the separator, prefix, breadcrumbs for the archive, search and 404 pages. You can choose the taxonomy types to show in breadcrumb. Clicking on that drop down button will give you the options to choose from. 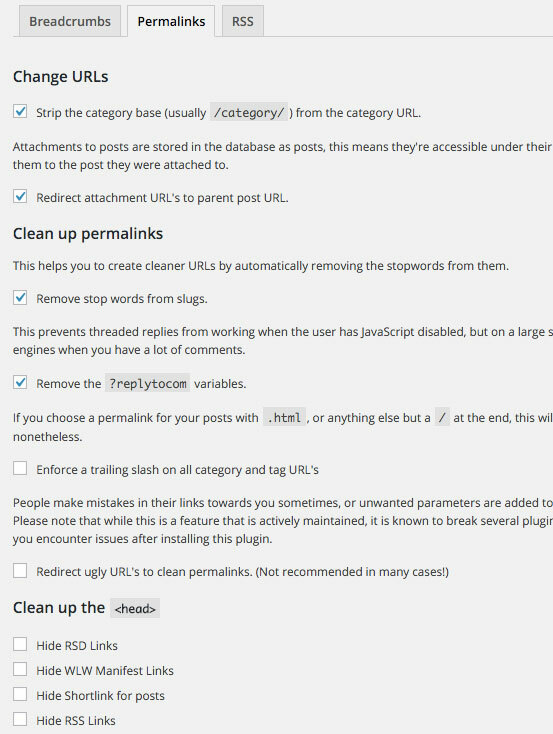 The permalink tab lets you to do quite some stuff regarding the permalinks. First, you can choose to strip the /category/ slug from category url. Without this ticked, the category URL will show like this > http://www.besthostinganddesign.com/category/web-hosting/. This just makes the URL unnecessarily long. If your post had an attachment, selecting the Redirect attachment URL will redirect the attachment file URL to the associated blog post/page. Make sure you select the Remove stop words from slug, so words like a, the, is, to will not be included in the post URL (automatically). You’d also want to remove the ?Replytocom variable. The RSS tab lets you to add content before and after your RSS feed. If you want the auto blog sites to stop misusing your content or if you want to add branding to your feeds, you can do so. Use the variables given below as help to add content. The tools module helps you to do bulk editing so you can change the title and description of your posts and pages in one shot. 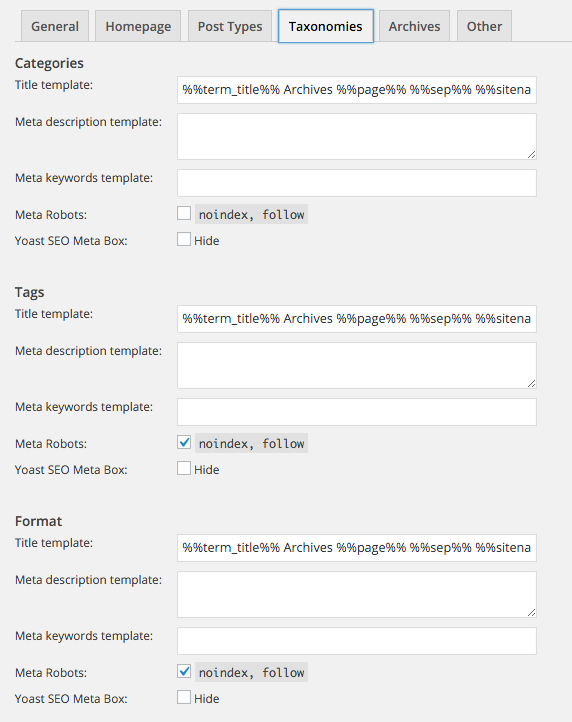 You can also have your SEO files edited using the Filed Editor option. The import and export settings helps you to import or export settings from other SEO plugins. You can also recalculate SEO scores of all the pages and posts on your site. In the search console module, you can connect your Google search console (formerly Google Webmaster Tools) to your website so you can view the data right from your WordPress dashboard. First you need to go to Settings tab and authenticate your Search console with Google. Once you’ve done that you can view the corresponding Search Console data in the rest of the tabs – Desktop, Smartphone, Feature phone. That’s it! 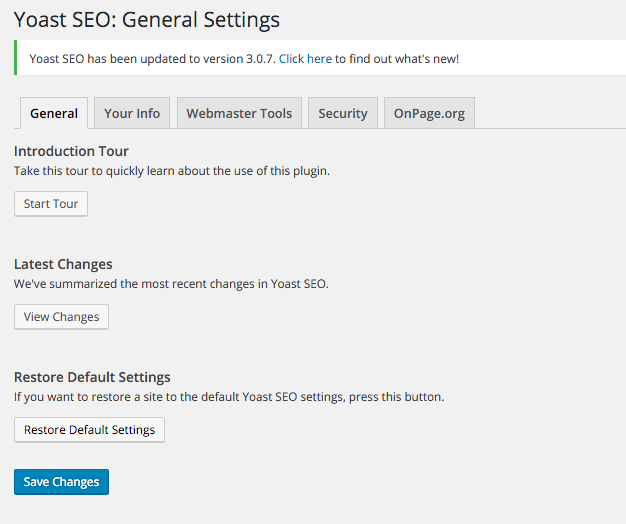 You have installed and set up the Yoast SEO plugin successfully. In this tutorial I’ve shown and discussed the WordPress SEO settings to my preference and how I use it. But you can tweak certain bits according to your preference and according to your website’s SEO plan. Hello Madam! wonder with your blog post and genuinely it’s a best set up guide for a blog with WP Plugin and i also recommend wordpress is the best platform for blogging and without any troubles can make a good blog and as far as i knew you have many blogs and offers many internet services, we need serious bloggers like you and read your education background is totally different but still your contribution in blogging industry is amazing. Thanks for sharing your knowledge. Thanks for this tutorial on WP SEO by Yoast. From this tutorial I can see that with all the integration I can get rid of some plugins that I don’t need. This will definitely speed up my site. Thanks for the detail info! Have a good one! The Header and Footer plugin(s) might cause issues when used in conjunction with Yoast SEO. Both Yoast SEO and Header and Footer create OpenGraph output, which might make Facebook, Twitter, LinkedIn and other social networks use the wrong texts and images when your pages are being shared. It then has a button that says to deactivate my header and footer. I do have a header and footer plugin by Stefano Lissa. Will I mess up my website if I deactivate the header and footer? Hey Rithika, You should click on “Fix it” that comes next to the notification and Yoast will automatically fix that issue for you. Hello Madam! wonder with your blog post and genuinely it’s a best set up guide for a blog with WP Plugin and i also recommend word press is the best platform for blogging and without any troubles can make a good blog and as far as i knew you have many blogs and offers many internet services, we need serious bloggers like you and read your education background is totally different but still your contribution in blogging industry is amazing . Will I mess up my website if I deactivate the header and footer . I too have Yoast for my website, But I’m facing some issue with the meta tag. Can you help me in that? Help from any most appreciate. Wonderful guide. This is very useful post. Keep sharing such a useful post. Thanks for sharing. Excellent post, well written and truly a great guide. should appear in search engines and this will also be uniformed thru your entire site. I’ve been with Yoast since started my first blog, but sometime feel like missed some features of the plugin. Thanks for sharing, this’s the completely detail and step by step tutorial for Yoast plugins. I believe this article will be a very useful resource for my audiences. I shared and bookmarked the article, and I will link to the post when there is any relevant. 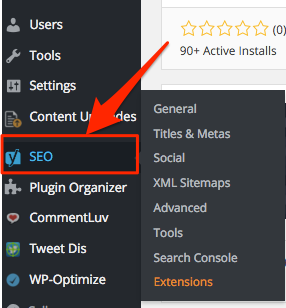 This post on WordPress seo plugin was a massive one. It’s very educating and intriguing. Good work! I got some ideas which I am going to use on my new blog.